Projection, Agora, Garden and Lab. 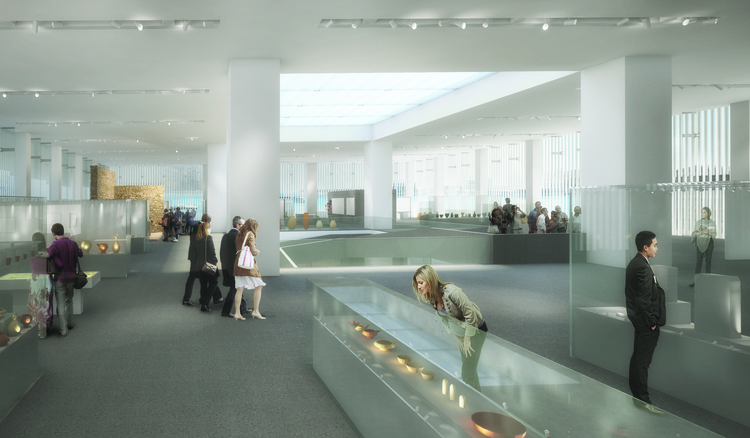 The new Archaeological Museum of Piraeus highlights the exhibition space as its main asset on display, interprets the public programs and the commercial facilities as the open space of its function and the research and archive activities as the supporting structure of the whole organism. 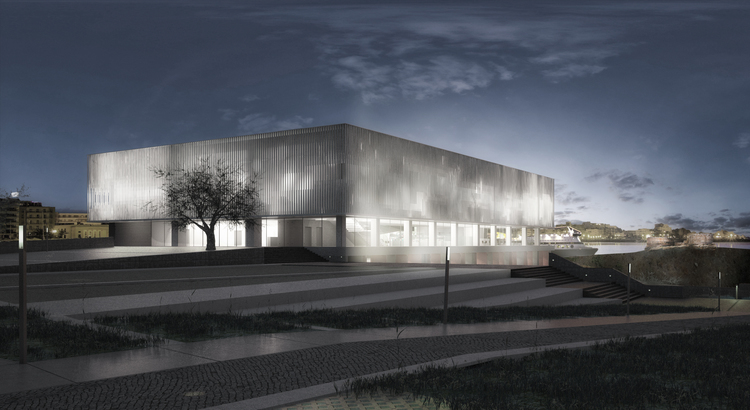 Programmatically, this idea is reflected on the section of the existing building: the white box of the exhibition space stands out on the upper level, above ground, while the offices, the archive, the laboratories and the temporary exhibition are placed on the lower levels and the immersed museum courtyard. The public programs of the museum, such as the entrance, the educational programs, the restaurant, the shop and the amphitheatre are situated on the pilotis, the inbetween space, connecting the museum to the park and the city. The landscape around the museum forms a single, continuous surface that regenerates the ancient grounds, houses the two-storey parking station, creates spaces for various public programs and activities, allows connections with the city, the port, the Cultural Coast –all in different levels- and leads to the museum entrance, the highest point.